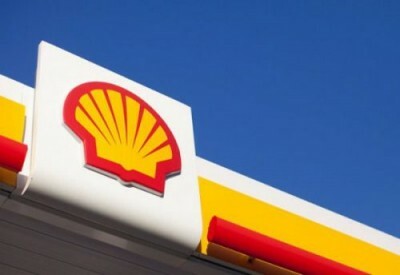 SHELL Petroleum Development Company of Nigeria, SPDC, Thursday, lifted force majeure on Bonny Light exports, thus signalling the official export of the crude oil grade from Nigeria. The force majeure was placed to protect the company against any liability from importers in different parts of the world after the destruction of its Nembe Creek Trunk pipeline. Pipeline carrying Nigeria’s Bonny Light crude being fixed Pipeline carrying Nigeria’s Bonny Light crude being fixed Aiteo, an indigenous oil and gas company that handled the rehabilitation of the pipeline, said that work had been completed to pave way for resumption of export. SPDC explained that the force majeure was declared September 16, 2017, on Bonny Light crude, due to issues affecting one of the two main pipelines taking Bonny Light grade to the export terminal. Bonny Light has seen its production affected by declarations of force majeure at different points throughout the last year. It recently came out of a month-long force majeure on August 14, due to issues over a leak on the Nembe Creek Trunk pipeline. Bonny Light, a light sweet crude with a gravity of 35.3 API and a sulphur content of 0.15 percent, saw three force majeure declarations in 2016 due to pipeline leaks caused by militant attacks. This year, force majeure has previously been declared in June for several days, and over July-August. Bonny Light’s production has averaged 5.545 million barrels over the last 12 months. The crude is produced on Bonny Island onshore at the eastern edge of the Niger Delta. Other grades of Nigerian crude oil are Qua Iboe crude oil, Brass River crude oil, and Forcados crude oil. The Cabinda crude oil is a common grade of crude oil produced in Angola. The Bonny Light is in high demand specifically by American and European refineries. It is therefore a major source of income for the oil-rich nation. The price of Brent stood at $57.88 while the price of WTI stood at $51.88 in the global market yesterday. According to OPEC, “The organisation basket of fourteen crudes stood at $56.12 a barrel on Wednesday, compared with $55.83 the previous day.